From the opening epic ‘Memoirs’, Nitidus set their sights on the stadium with their debut EP. 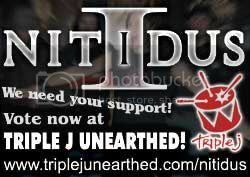 From The Inside was recorded in Christchurch New Zealand and features songs ‘Follow’ and ‘Hear Me’ that quickly became staples of the Nitidus live repertoire. Released 2001. Recorded at Redd Acoustics Chch October 2001. Engineered by Glen “naff” Ruske. 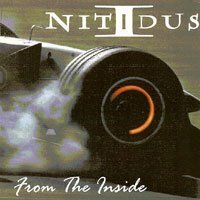 Produced by NITIDUS. Cover design & layout by Chris Manning & Andy. All songs written by P.Clemenger/NITIDUS. No crayfish were harmed in the making of this E.P.